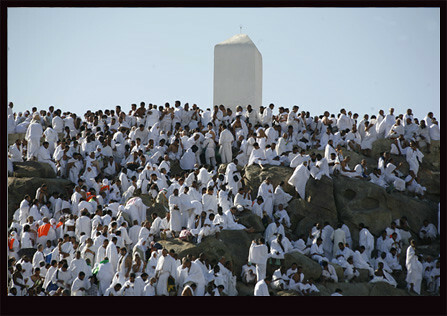 After Arafat, pilgrims will move to Muzdalifah to complete the remaining rites of the pilgrimage. As pilgrims do this, Muslims around the world will celebrate Eid Al-Adha, which this year occurs tomorrow, Tuesday, November 16th. On this day, animals are sacrificed and their meat distributed to the needy. Celebrations also include a group prayer and a day spent with family and friends. Have you ever been to hajj? What was your experience? How do you celebrate Eid Al-Adha? Have you ever been to an Eid celebration? Please share your experiences below. This entry was posted in The Hajj and tagged #SSRCWCG, hajj by Reem. Bookmark the permalink.